The Score: With a potential logjam in the Toronto Maple Leafs‘ crease, the club is reportedly shopping Calvin Pickard. 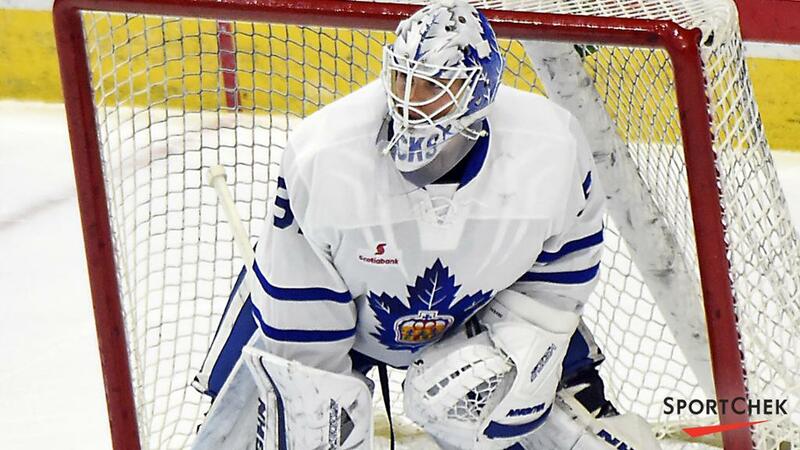 Pickard is set to battle Curtis McElhinney and Garret Sparks for the backup role this season. McElhinney has served as Frederik Andersen’s second in command for the last season and a half and has fared admirably, posting a 17-12-1 record, a .925 save percentage, and a 2.45 goals-against average in 32 games. Meanwhile, Sparks is coming off a stellar season in the American Hockey League where he was awarded the Aldege “Baz” Bastien Memorial Award as the league’s most outstanding goaltender. He also led the Marlies to a Calder Cup championship. Pickard also had a solid year in the AHL, going 21-9-1 with a .918 save percentage and a 2.31 goals-against average. The 26-year-old does have NHL experience, largely spent with the Colorado Avalanche, and holds a career record of 28-44-7 in 87 games. NBC Sports: Given that the New York Rangers are staring down the barrel at what could be a second consecutive non-playoff season and have an eye on the future, it is possible, if not likely, that the major roster shakeup will continue this season. There are a couple of players on the roster worth watching when it comes to potential trades. Mats Zuccarello was the subject of trade rumors this past season but when all was said and done he ended up remaining in New York. Now that he is entering the final year of his contract it seems likely that he will once again be a player on the trade block. He is almost certainly the Rangers’ best returning forward, and has built a solid career for himself. The Rangers were able to avoid arbitration with Kevin Hayes this summer by signing him to a one-year contract, meaning he is now eligible for unrestricted free agency after this season. At this point you have to think that if the Rangers were committed to him as a long-term building block they would gone for a longer commitment.